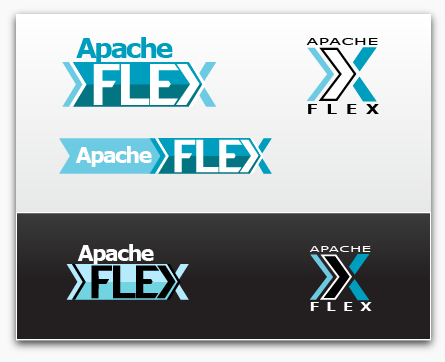 Now that Flex is being moved to the Apache Software Foundation, it’s time for a new logo. A logo contest is currently underway (ends today I think). Here are my two submissions. Each one has more detailed variations and explanations of the thought process if you view the full submission. See the full treatment with explanation. The second logo tries to capture the enterprise story. 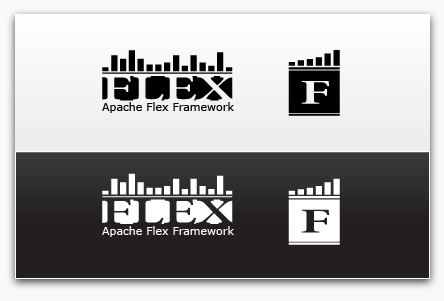 Flex is the foundation of many enterprise applications. It provides a core set of components and tools, on top of which we build stable, powerful, robust applications that drive real businesses. This logo has Flex as a strong base. Built on top we have a symbolic chart, but this symbol is also meant to represent a skyline of skyscrapers. Our apps power large enterprises and drive business. Flex is the foundation of enterprise development. ← What would you call this chart? I like “Logo 1” variant, it looks professional and very attractive. I think the logo they got it awesome.